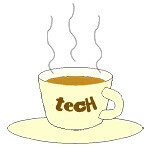 lenses « Tech bytes for tea? Canon has launched a whopping 18 imaging products for their 2015 consumer line-up in Singapore, in conjunction to their global launch. Highlights include the new EOS 5DS & 5DSR, EOS 750D & 760D, EOS M3 cameras; and the new MAXIFY line of SOHO printers. From Left: Canon Connect Station CS100, MAXIFY MB5370 and EOS 5DS. Not shown to scale. Below is the list of products showcased at the media launch in Singapore, when Canon Singapore also dished up the traditional Lohei at the Bacchanalia restaurant in The Masonic Club. The Vario-Tessar T* FE 16-35mm F4 ZA OSS (SEL1635Z) lens has a versatile wide-angle zoom range and is optimised for Sony A7 series 35mm full-frame cameras. Available in Singapore from November 2014. Price TBA. Unveiled at Photokina 2014: Sony Vario-Tessar T* FE 16-35mm F4 ZA OSS (SEL1635Z) lens. The lens ships with Optical SteadyShot in-lens image stabilisation and is compact and portable. It is built with dust and moisture resistant design. Canon has launched the EOS 7D Mark II, PowerShot G7 X, N2, SX60 HS and three new lenses.The “Flag Off” event also showcased the PowerShot SX400 IS, SX520 HS and camera bags that were announced earlier this summer. The Canon EOS 7D Mark II will be available in Singapore from early November 2014 at Canon authorised dealers at the following recommended prices. The Canon PowerShot G7 X is now available in Singapore for S$799. Canon unveiled the EOS 7D Mark II along with three new lenses and three new PowerShot compact cameras at Photokina 2014 in Cologne, Germany. The highlight of the event was the EOS 7D Mark II which was unveiled in conjunction with the global announcement at Photokina 2014 in Cologne, Germany. The EOS 7D Mark II is the much anticipated successor to the EOS 7D, and features a 20.2-megapixel CMOS sensor with Dual Pixel Phase AF, high-speed continuous shooting of up to 10 frames per second (fps), and a 65-point all-cross-type Autofocus system. The APS-C DSLR sports dual DIGIC 6 image processors and ISO up to 16,000 (expandable to 51,200); with shutter release cycle rated to 200,000, up from 150,000 in its predecessor. The camera weighs 820g (body only), has built-in GPS, and comes with double memory card slots for CF and SD cards. It is expected to go on sale in the US in November for US$1,799 (body only) or US$2,149 (with EF-S 18-135MM f/3.5-5.6 IS STM kit lens). Olympus has announced six new cameras and lenses, including the OM-D EM-10. These will be available from February to April 2014 onwards. All prices are yet to be announced. Olympus has announced a slew of six cameras and lenses, including the much anticipated OM-D EM-10. A short description, price and availability of each camera/lens is summarised below. Available from February 2014 in Black and Silver. Excellent image quality due to traditional optical and advanced image processing technology. Large, bright Electronic Veiwfinder (EVF) offers quick response time and clear visibility. 3-axis VCM in-body image stabilisation mechanism brings out the very best in every lens. 81-point FAST AF and 8 fps (TBD) max high-speed sequential shooting. Available (bundled with M.ZUIKO Digital ED 12-40mm f2.8 PRO) in March 2014. The new entry-level DSLR from Nikon has 24.2 megapixels, 13 special effects modes, and a retractable kit lens. Price TBA. Available probably in February. The Nikon D3300 will be available in three colors (Black, Red and Grey) with the AF-S DX NIKKOR 18-55mm F/3.5-5.6G VRII kit lens. The Nikon DSLR is targeted at first time DSLR users, with its easy-to-use interface and Guide Mode, which provides tips and step-by-step guiding information along the way. Top view of the new Nikon D3300 SLR. The new Canon EOS M2 compact mirrorless interchangeable lens camera incorporates Hybrid CMOS AF II for significantly enhanced autofocus (AF) performance. Available in black or white, the EOS M2 goes on sale in Japan in mid-December. Price TBA. *The images in this article are from Canon. The white EOS M2 (left) with EF-M22mm f/2 STM lens, and the black EOS M2 (right) with EF-M18-55mm f/3.5-5.6 IS STM lens. The EOS M was first released in September 2012. Its successor – the EOS M2 promises image quality on par with EOS series of digital SLR cameras but in a compact and lightweight design. EOS M2 versus EOS M – according to Canon Japan. Compared with its predecessor, Canon claims that the new EOS M2 realises dramatically improved autofocusing performance and now incorporates built-in Wi-Fi in a body that is approximately 8 percent smaller in volume.